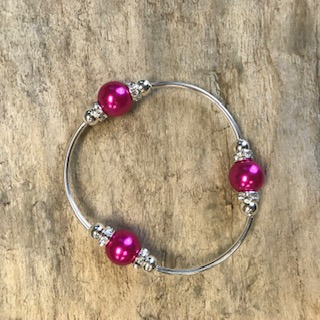 We have a selection of handmade bracelets that can be added to any order. 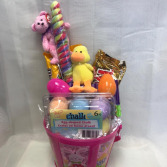 A basket filled with egg-shaped chalk, a variety of candy, plush animals, and some plastic eggs with surprises inside. 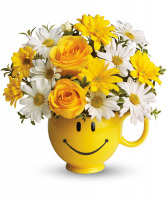 You know you couldn't "wing it" without them! 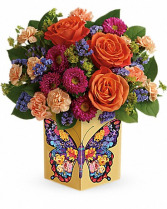 Show your thanks with this bold, beautiful bouquet, artfully arranged in hand-glazed ceramic cube with hand-applied butterfly.